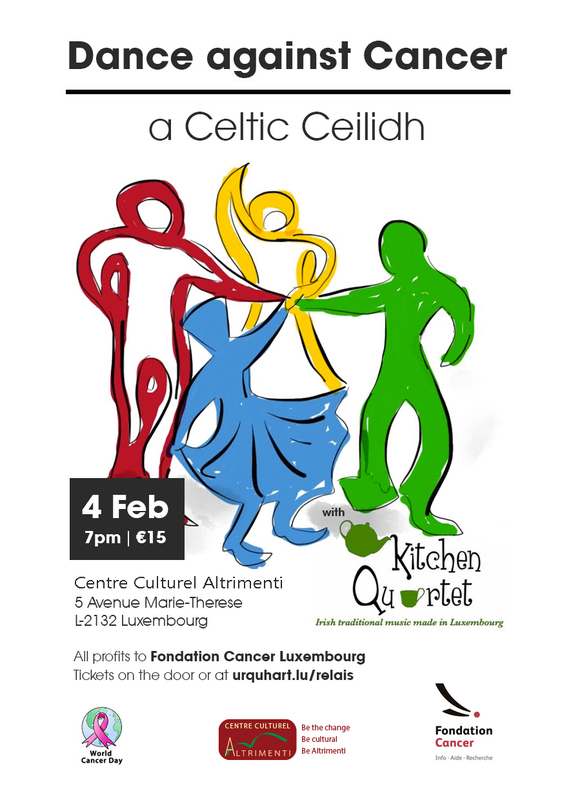 Kitchen Quartet will join forces with a team from the Relais pour la Vie, as well as two Scottish bagpipers from the Luxembourg Pipe Band, Gauthier Crommelinck and Pierrot Krier, to host a Irish and Scottish Ceili(dh). Stephanie Robertson has kindly offered her to help guide you through the moves. The night will cost just 10 euros and will be held at the Altrimenti Cultural Centre in Luxembourg City centre from 7pm on February 4. Register at www.urquhart.lu/relais and pick your tickets up at the door. Thanks to everyone who came along to the International Bazar at the weekend and supported the Ireland stand. We all had a lot of fun! Kitchen Quartet will return to play some tunes at the Bazar International de Luxembourg this year on 27th November at 2pm in front of the Ireland Stand. Kitchen Quartet will play at this years Hierschtfest 2016 at the An Hueff farm in Crauthem on 2nd October 2016. The Hierschtfest is open from 10am until 6 pm and will have regional exhibitors and sellers offering products including decorations, soaps, pumpkins, vegetables, jam, wine and much more. On Sunday, 5th June, the Kitchen Quartet are happy to play their 7th Cessange Duerffest. 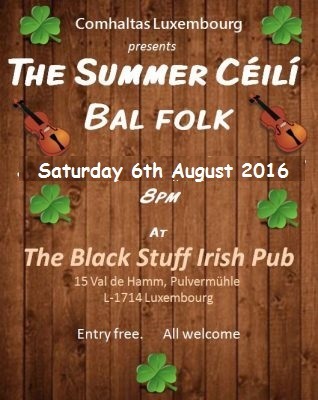 For more details see Zeisseng Duerffest.